Celebrating 15 years of National Home Movie Day in 2017! 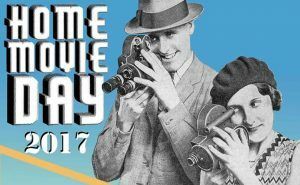 Home Movie Day is a worldwide event that invites you to see and share your own home movies with an audience of your community. 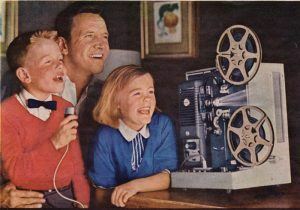 Bring your Super 8, 8mm, and 16mm films to screen or just come to behold the vast array of fascinating amateur movies in the Rochester area! Students from the L. Jeffrey Selznick School of Film Preservation at the George Eastman Museum and the Association of Moving Image Archivists Student Chapter at the University of Rochester will be on-hand to perform film inspections and project the films. All films determined to be in good condition will be screened before a live audience. Free and open to the public.